Manning Leaver is the author of three extensive publications relating to the vehicle dealer industry in California. 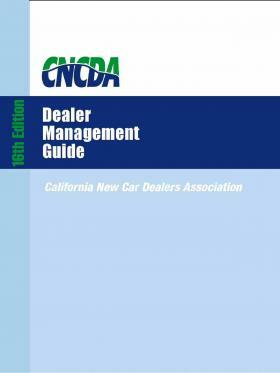 They are the California New Car Dealers Association Management Guide, the California Auto Dealer Finance and Insurance Compliance Manual, and the CNCDA Franchise Law Manual, all described below. 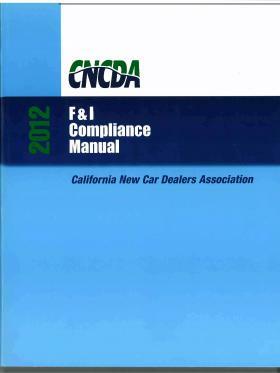 All of these manuals are distributed to members of the California New Car Dealers Association and are periodically updated. 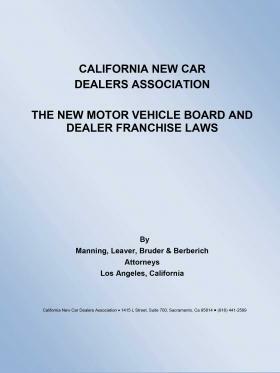 For many years we authored the California Auto Dealer Advertisng Law Manual distributed to members of CNCDA and continue to have a very active advertising law practice.